It’s the secret weapon in every mixing engineer’s arsenal, the secret sauce in every mixer’s collection of recipes. We’re talking about mix buss processing, and in this article we’ll cover what it is, how to use it (Rule One: Don’t abuse it! ), and the best way to reap its benefits. We’ll also take a close-up look at a couple of the latest generation of integrated ‘final touch’ mix buss plugins. 1. What Is Mix Buss Processing and Why Use It? In a nutshell, mix buss processing is the application of one or more signal-changing processes (such as compression or EQ) to the stereo buss or master fader. Therefore, by definition, it affects all tracks, not just certain instruments. At first glance, this may appear counterintuitive. After all, the mix stage provides the last opportunity to adjust balances and fix any problems with individual parts. Why apply processing overall? The short answer is that it isn’t always the best option. 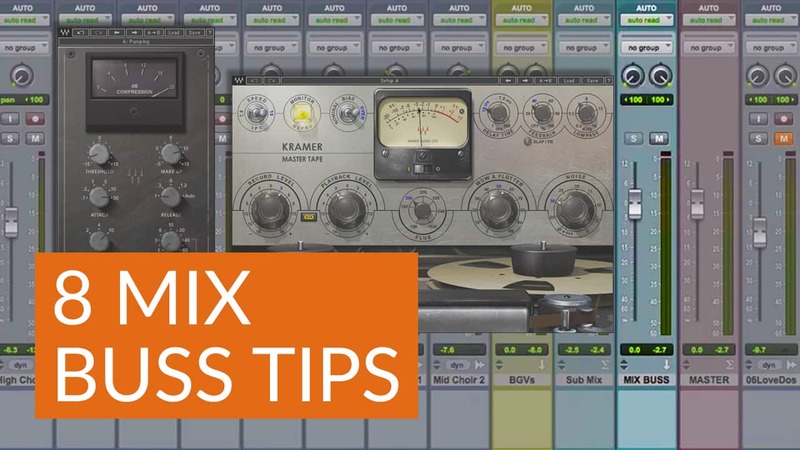 Mix buss processing can’t address specific recording issues such as distortion on a track, nor can it bring out a certain part in a certain spot – these are all corrections that you need to make on a track-by-track basis. But what it can do is to add character, vibe and polish to your overall mix. Done correctly, it can make your mix sound like it’s been mastered long before it ever gets to the mastering stage..
Perhaps just as importantly, it’s a technique that has psychological implications. After all, mixing can be a slow and tedious process. A little tweak here, a little tweak there – start going down the wrong road and it can get downright discouraging, even to the point where you start to lose faith in your abilities. But the tasteful application of mix buss processing instantly brings your mix closer to a finished product, which in turn can give you a huge boost of confidence. That in turn gets the artist pumped up and all of a sudden you have a new perspective that can really help with the tough decisions. The most common kind of mix buss processing is compression. Just the act of routing dozens of individual tracks through one stereo compressor can help glue all the individual elements together into one cohesive whole – something that’s especially important in a mix where levels change drastically during the course of a song. The key here is gentle settings. Think moderately slow attack (10–30 ms), fast release (less than 50 ms, depending on the music), and a ratio of 2:1 or less, resulting in just a dB or two of gain reduction (perhaps a bit more if the genre is dance music or hip-hop) at the loudest points. Go much beyond those settings and your mix will sound flat and strained. The SSL G-Master Buss Compressor plugin, which accurately models the response of the analog circuitry found in the legendary console of the same name, is an excellent choice for mix buss compression. It’s very grabby, very musical, and it makes things punch. Used judiciously, kick and snare drum jump out, and the overall mix moves a little more forward, gets a little more in your face. You need to see what works for you but be wary of wandering into a maze you can’t easily escape from. In the end, the use of any mix buss compressor must always be tied to how much compression has already been applied to the individual tracks. Don’t turn it on until you are certain the mix is already well balanced within itself, and be aware that it has the potential to subtly change the perceived levels you have worked so hard to get right. When it comes to mix buss processing, equalization falls more into a ‘special case’ category. As a rule, the best way of achieving a smooth, even frequency response is to adjust individual tracks to obtain the ideal blend. But if you find that you can’t easily solve a problem area by altering the equalization of each instrument, mix buss EQ may provide a fast solution. You can, for example, boost a little in the 50–60 Hz area to add some extra ‘oomph’ to the kick drum and bass simultaneously, or you can put a little notch in the 300–500 Hz area to remove boxiness and improve clarity of the all-important high mids, where the vocals and guitars live. Add a touch of shelving boost to the 8–12 kHz area to add some air, or create a gentle smiley curve that emphasizes the lows and highs while de-emphasizing harsh mids. Many mix engineers also like to use an equalizer on the mix buss as an overall high-pass filter, rolling off subsonic frequencies below 25 or 30 Hz. (This is generally done before routing the signal to a mix buss compressor.) In many genres (dance and hip-hop being the main exceptions), you may not need those low lows at all. Removing them cleans up the entire mix, adds valuable headroom (especially important at mastering time) and makes your midrange a little more present, even though you may not actually be able hear the frequencies you’re rolling off. Small boosts and cuts are the way to go when it comes to mix buss equalization. Use it only to remove mud, rumble, harshness or other problem frequencies. Remember that you’re affecting the mix as a whole, and that what you do here may be difficult to undo later in mastering. 1–2 dB is pretty much all you want to boost or cut. If you find yourself making adjustments of 3 dB or more, you’d be much better advised to go back to the individual tracks to fix things. One caveat: While applying mix buss equalization, it’s important to continually compare the adjustments you’re making to reference tracks. Listen to the brightness of the hi-hat or the thud of the kick drum and use that as a gauge. This can be a very cool effect to apply across a mix buss, even though (or possibly because) it’s subtle in nature. Up until the last few decades, pretty much all the music you heard was recorded to tape. Tape saturation – the absorption of transients in a very gentle, musical way – is a big part of the sound of the recordings that we love. A tape emulation plugin like the Kramer Master Tape or the Abbey Road J37 Tape can really help smooth things out and add a fullness and a musicality to what may be a too-squeaky-clean mix – especially if you’re mixing ‘in the box.’ Added at the beginning of the mix process (an area of some debate, actually – see below), this can be a nice touch that allows you to apply less processing later down the road. Be aware, however, that saturation of any kind – be it tape, tube, transformer, whatever – can present major problems if it is taken too far. That’s why applying it to the mix buss is generally better than adding it to individual tracks: this way, it won't ‘build up’ cumulatively. Nonetheless, it still requires careful monitoring because too much saturation can blur detail. As with every other type of signal processing, use sparingly, and with caution. 5. Should I Put Limiters or Other Effects on the Mix Buss? This one is simple: Don’t do it. Limiting is a process much better applied during mastering than during mixing. Ditto for stereo imagers, mid-side processors, reverb, modulation, exciters, and de-essers. 7. When Should I Process the Mix Buss? There are basically two ways to use mix buss processing: at the beginning of your mix session, or at the end. Perhaps somewhat surprisingly, there is considerable debate among engineers as to which approach is better. On one hand, as we mentioned previously, getting your mix to sound finished and polished early on can give you (and the artist) a tremendous lift. Using mix buss processing at the very beginning sets you up for a better-sounding mix in less time and can help you pay closer attention to the interaction between individual elements as you start making mix decisions. What’s more, if you mix into a buss processor at the outset, it becomes part of the sound. To some engineers, the whole point of mix buss processing is to provide an environment to mix through, as opposed to adding polish at the end. Indeed, Chris Lord Alge recommends that CLA MixDown be inserted on your master channel before you start mixing. Mind you, this kind of approach can take some getting used to. If you’re using a mix buss compressor, for example, the dynamics may not react the way you would normally expect them to; in fact, when you turn a channel up, you may find that the mix buss compressor turns it back down! That said, you’ll probably find yourself not needing to add as much compression on individual tracks, and you’ll also require less automation to bring out all the elements. Mixing through a mix buss compressor can yield a sound that is very different than the more controlled sound of individual compressors – more exciting, even explosive. Yet many engineers argue that if you begin with all your ‘polishing’ buss processes active right at the start of things, you may work less hard at getting the basic mix right in the first place. They also make the (valid) point that trying to fix problems with buss processing in place is quite difficult since improving one element of the mix usually requires compromising some other part. The bottom line is that there is no right or wrong. Experiment with both techniques and see what works best for you. 8. Every Move You Make…: Be Subtle! Remember, the key to mix buss processing is subtlety: A little bit goes a long way because everything you do affects the whole mix. Every move you make, however slight and whether for better or for worse, can make a huge difference to the overall sound. For example, using a mix buss equalizer to raise a particular frequency by 1 dB is equivalent to applying that boost dozens of times to dozens of tracks! As in many other aspects of life: big risk = big (potential) reward. Mix buss processing is an exciting approach to the art of mixing, and one well worth delving into. We hope this guide helped you in understanding the benefits and considerations of buss processing during a mix. 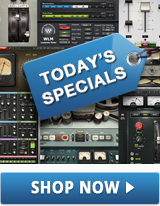 Want more mixing and mastering tips? Check out our 8 tips for compression and 10 tips for EQ during mastering.